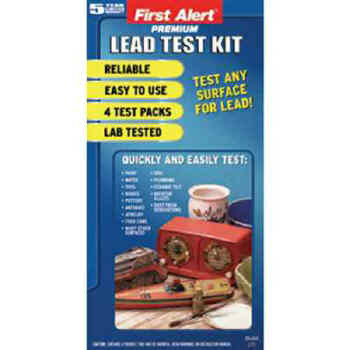 First Alert's Lead Detection Kit is reliable and simple to use. It helps identify household environmental hazards. Test paints, toys, dishes, and lots more. Each kit contains four test packs that change color to indicate the presence of lead.